I read an email last night about something called One Pound Punt. I don't know anything about this service or the person behind it but if it lives up to the expectations set then it will be the ideal product for a lot of people. The writer one Harold Schmitt claims he made £3,418 from £1 bets last year! It’s not the most a tipster will have made last year (cash wise), but we’re not talking silly £100 bets or even £50 or £25 stakes. I didn’t even bet at £10 per point. I generated this income from simple £1 bets. I started last January and added £100 to my Betfair account, I never had to add any more money to my account as the winners I hit increased my bank, week after week. 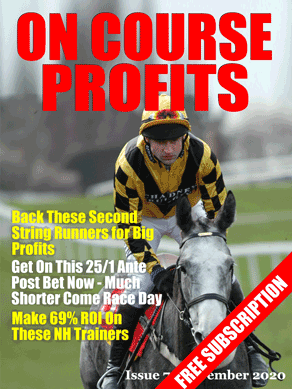 For a lot of punters £1 bets are a comfortable level to operate at. To be honest I'm a little sceptical about the claims made, but I'm going to sign up for it and hopefully be pleasantly surprised. If you have already tried the service and have some feedback for readers then please tell us in the comments below.